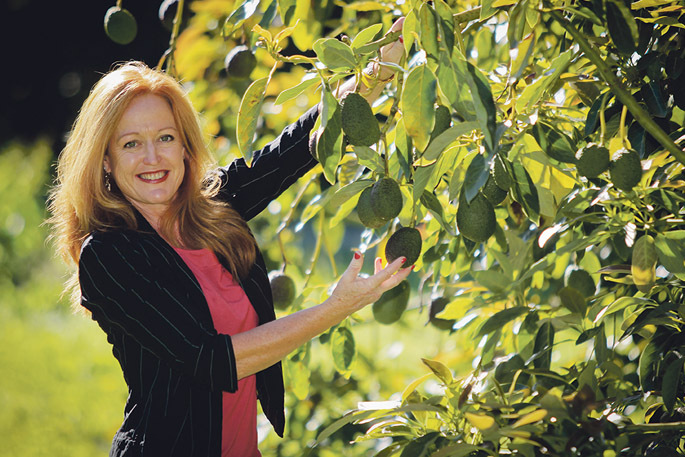 NZ Avocado chief executive officer Jen Scoular says hosting the 2023 World Avocado Congress in NZ will bring a wealth of avocado expertise to our country. New Zealand Avocado will present a bid to host the 2023 World Avocado Congress event in New Zealand, when the organisation attends the forthcoming WAC in Columbia this September. The WAC is held every four years in a different country. If it was hosted in New Zealand it would take place during four days and bring more than 2000 of the brightest minds in avocados including growers, researchers, marketers, tech innovators and investors from around the world to our country, says NZ Avocado chief executive officer Jen Scoular. “The New Zealand Avocado industry has experienced real growth with excellent returns resulting in significant new investment into the industry. This is our chance to showcase the industry and celebrate avocados here in New Zealand,” says Jen. NZ Avocado chair Tony Ponder also says there is merit in the opportunity for the industry and for New Zealand in seeking the WAC hosting rights. “It is a terrific opportunity for our own growers to attend a world event, network with some of the largest producers in the world and learn first-hand about current and emerging innovation and technology,” says Tony. Tourism New Zealand has also come forward to support the bid. “Tourism NZ is fully supportive of the New Zealand Avocado Growers’ Association’s bid to host the World Avocado Congress in 2023,” says Tourism New Zealand chief executive Stephen England-Hall. “Events like this benefit New Zealand by bringing together local and international experts whose knowledge and experience will help boost the NZ avocado industry while also showcasing our expertise in this sector on the world stage,” says Stephen. New Zealand is the ninth largest international avocado exporter globally with more than 4000ha of avocado trees planted, primarily in the Bay of Plenty and Northland. And the NZ avocado industry growing, with a vision and strategy in place to quadruple sales to $280m and triple productivity by 2023. If successful, this will be the first time New Zealand has hosted the event. New Zealand will find out if their bid is successful or not at the World Avocado Congress 2019 event in September.